Flowerpot Bingo Review - 200% bonus on 1st deposit! Unfortunately, there is no promotional scheme available on Flowerpot Bingo to assist us in advertising the site. As such we have provided you with an alternative called BoyleVegas, which is an impressive gaming site offering a great choice for any type of player. With a picture postcard theme of a beautiful British garden, Flowerpot Bingo launched in 2016 using the impressive Dragonfish software. If you’re anything like Mobile Bingo Bonuses then you’ll be interested in their huge range of games. Flowerpot Bingo offers plenty of gaming choice including 75 ball and 90 ball bingo, table casino, instant games and video slots such as the renowned Starburst and Elements. To make it even more exciting they have embedded slots, meaning you can play bingo and slots without changing screens. There’s even complimentary bingo with real cash prizes, for those times when pennies are a little tight or you’re eager to hone those daubing skills. It can be difficult to find time to play such a huge range of games, so why not game on your mobile and tablet devices? This means that wherever you are you can access top class games on your mobile and erase any boring parts of your day. £10 bingo bonus for each friend you refer who deposits. You begin to enjoy incredible bonuses on Flowerpot Bingo the moment you make your 1st deposit, with a 200% cash match bonus on a minimum £10. This means that for £10 you’ll receive an extra £20, or a grand total of £30 to game with. Even once the deposit bonus is over, you can enjoy incredible regular promotions on Flowerpot Bingo. 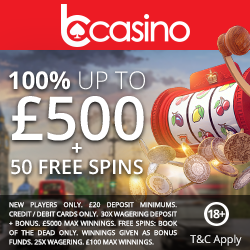 They have been designed to add excitement to your week and offer both extra bonus credit and humongous jackpots such as the Big £10,000. 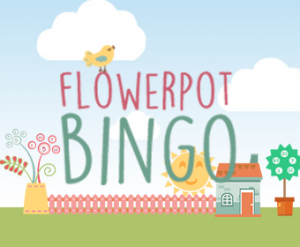 As you play on Flowerpot Bingo you’ll accrue loyalty points, with £1 equating to 12 points. These points move you through the 4 loyalty levels which include Bingo Rookie, Bingo Pro, Bingo master and Bingo Champ. The higher the level the bigger and better the bonuses you’ll receive which include cashback, bonus spins and extra tickets to promotions. If you enjoy meeting other bingo players or you’re always interested in extra prizes, then make sure you check out the chat rooms. With such a blooming lovely site we’re sure you’re eager to tell your friends all about it, so why not enjoy a little something too. 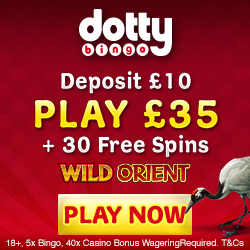 For each person you refer who registers and deposits, you’ll receive £10 bingo bonus. There is a maximum 15 referrals per month, but that should still give you plenty of extra credit to enjoy. For those times when you need assistance, you can contact a Flowerpot Bingo representative via telephone or email 24/7. They also provide an extensive FAQ section which contains popular questions raised by other players. They accept the usual banking methods including Credit and Debit Cards, Entropay, Paypal, Paysafe Card and Neteller. To enjoy the amazing welcome and regular bonuses, simply head over to Flowerpot Bingo and enjoy!